Celebration Orlando Exclusive 6-piece Multi-club patch set! 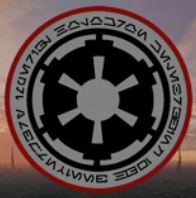 Six Star Wars collecting clubs will celebrate 40 years of Star Wars at Celebration Orlando by giving away sections of an exclusive Lucasfilm approved 6-piece patch set. 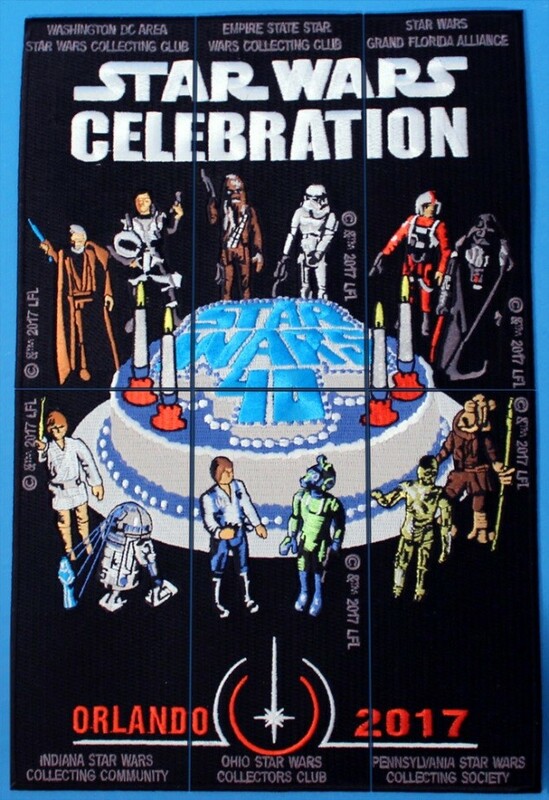 When assembled, the pieces form a homage to the infamous birthday poster that was released in 1978 to celebrate the original Star Wars film being in theaters for a year. 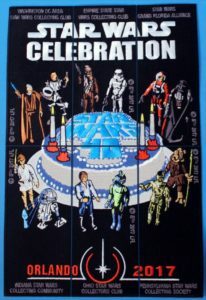 The poster features action figures from both the vintage and modern eras of Star Wars collecting. The clubs participating in this project are the Ohio Star Wars Collectors Club (OSWCC), the DC Star Wars Collecting Club (DCSWCC), the Pennsylvania Star Wars Collecting Society (PSWCS), the Star Wars Grand Florida Alliance (SWGFA), the Empire State Star Wars Collectors Club (ESSWCC) and the Indiana Star Wars Collectors Community (ISCOMM). 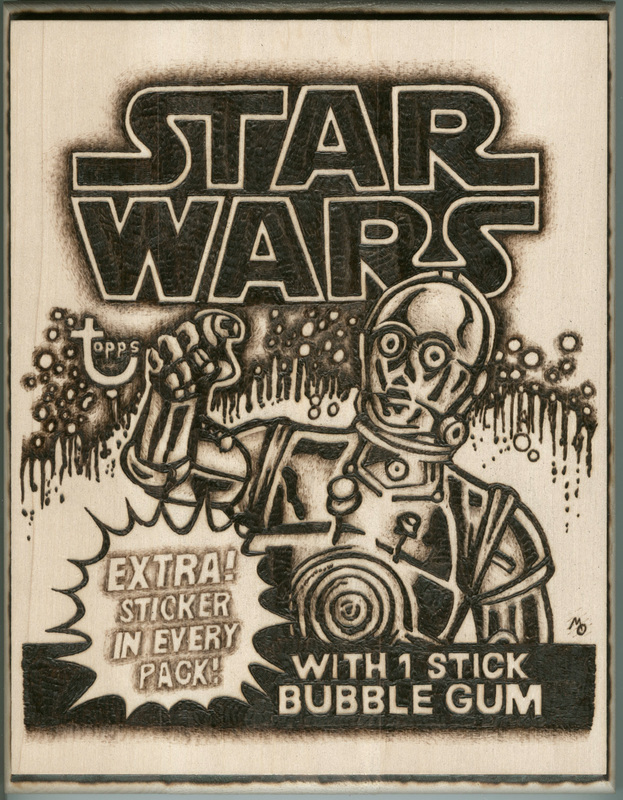 Art was provided by Bill Cable of PSWCS, and the characters on each patch were selected by the members of the participating groups. All six patches will be available exclusively at Star Wars Celebration Orlando from April 13-16, 2017 and will be free to attendees. Because quantities are extremely limited, the patches will be limited to one per person. All six clubs will be distributing their patch pieces at their Fan Group booths on the convention floor each day of the show. Please visit their booths at the show for additional information about the clubs and how they will conduct their giveaways. comlink AT oswcc DOT com.